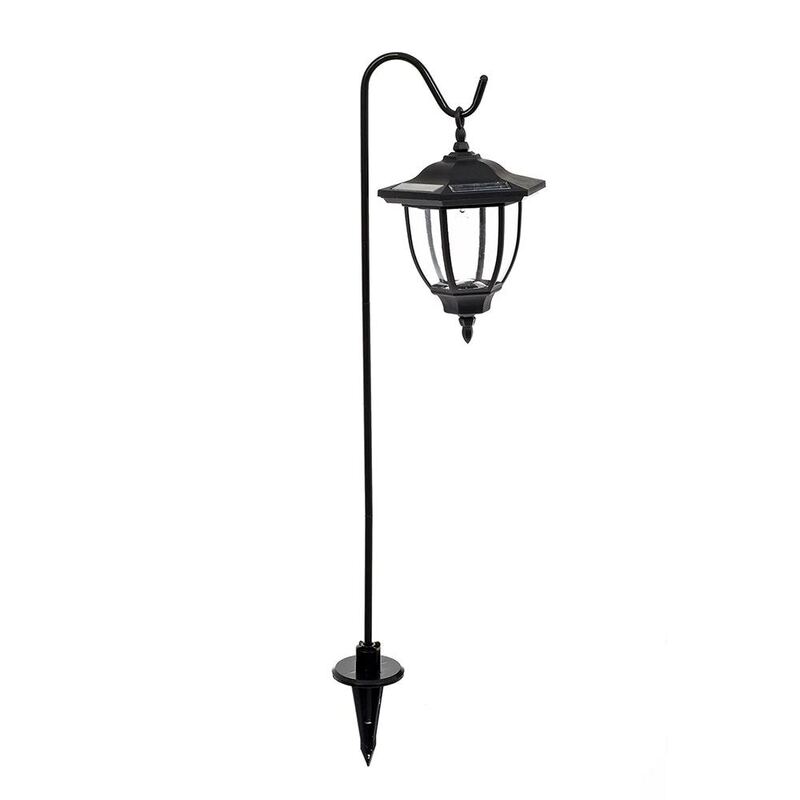 Pair of traditional coach-style solar LED lanterns with crook stakes. Perfect for adding soft lighting to beds and borders. 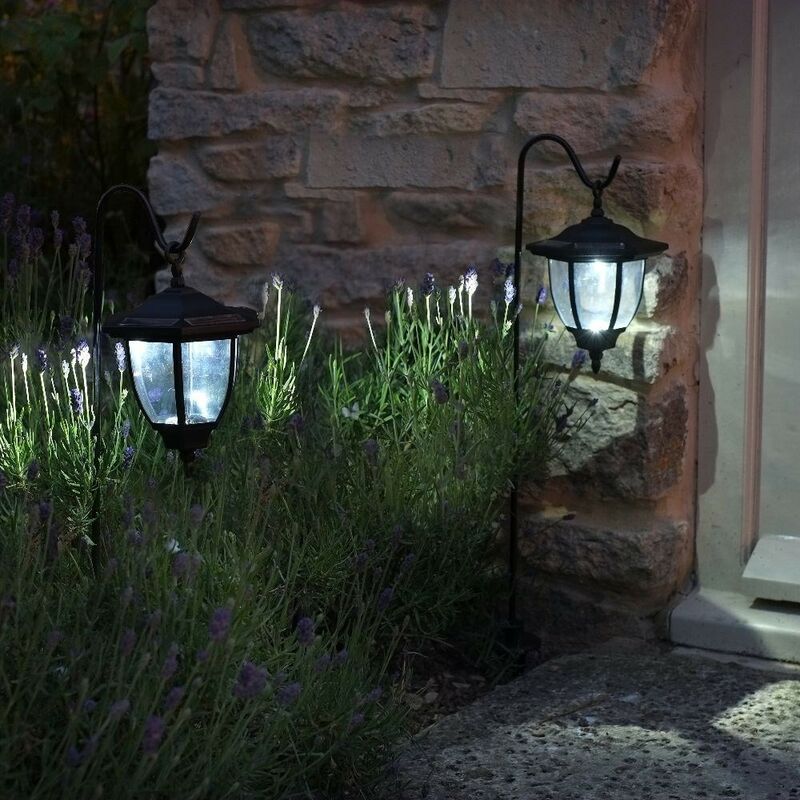 The lamps will charge in direct sunlight, illuminating automatically at night.